It doesn't means that it will not support other NAS. The Generic RADIUS coding inside th neuCRM must works with most of the NAS products. Mikrotik NAS configuration for RADIUS Authentication. 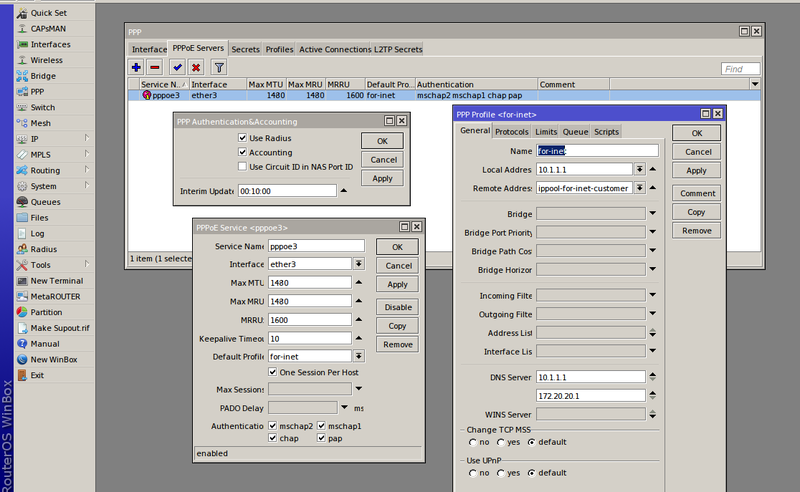 Configure your Mikrotik Router as shown above. 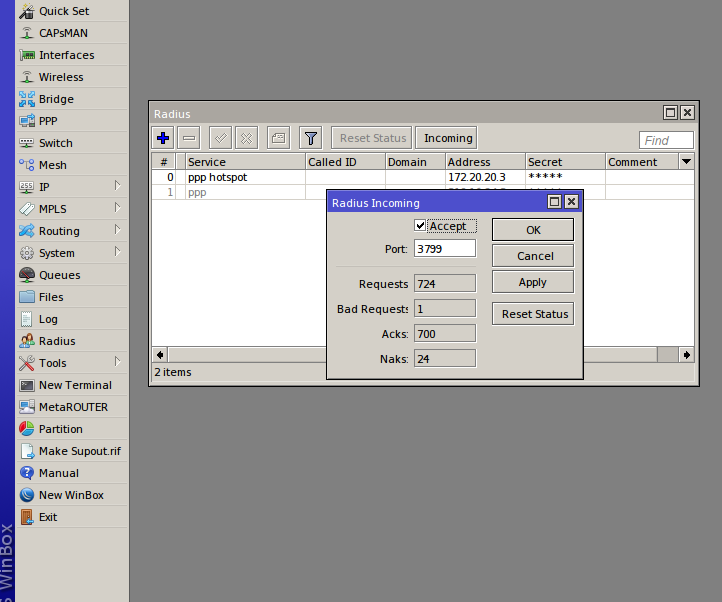 The RADIUS ip address 172.20.20.3 is used here for demo purpose only. Use your neuCRM Server IP address in place of this. RADIUS incomming port must be 3799 on NAS. neuCRM RADIUS server using this port to communicate with NAS. Create & assign a PPPoE profile to the PPPoE Service. Another Important thing is that you need to create a new IP Pool called: blocked_pool. This name should be same. Bacause neuCRM send instruction to NAS use the IP Pool named blocked_pool for the blocked customers. You can specify IP Range as you wish. There is no necessity to use the above same 192.168.238.x IP Range. NAS to neuCRM using UDP Port: 1812 for Authentication, and UDP Port:1813 for Accounting Updates. NAS has to send its log to neuCRM on UDP Port: 514 for Updating webaccess log.